Iran's Foreign Minister calls on the UN and the EU to halt what he calls Israel's "barbaric offensive” in Gaza. Iran called on the United Nations and the European Union on Thursday to halt what it termed Israel's "barbaric offensive” in Gaza. "Immediate and serious action by international (organizations) is needed to end the military campaign against the people of Gaza," Iran’s Foreign Minister Ali Akbar Salehi said in a statement carried by the official IRNA news agency. The call was made in separate letters to UN chief Ban Ki-moon, EU foreign policy chief Catherine Ashton and the Secretary General of the Organization of Islamic Cooperation Secretary General Ekmeleddin Ihsanoglu, IRNA reported. Salehi said the security of the Middle East was at stake as Israel continued its Operation Pillar of Defense in Gaza. 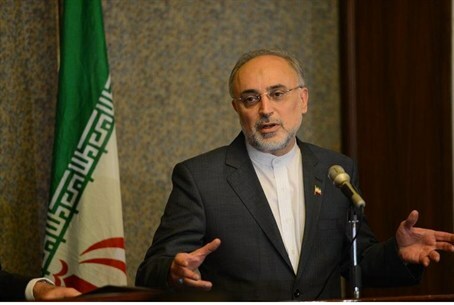 Salehi did not mention the ongoing rocket attacks by Gaza-based terrorists on southern Israel. The rockets are provided to Hamas and other terrorist organizations by the Iranian regime. "Unfortunately the massacre of innocent and defenseless Palestinians has become a routine procedure adopted by the Zionist regime," Mehmanparast said, according to AFP. Venezuelan President Hugo Chavez, a close ally of Iran and Hamas, also slammed the IDF operation on Thursday as an act of savagery. "Another savage aggression against the Gaza Strip has begun. Once again, the state of Israel is bombing the Gaza Strip," Chavez told a cabinet meeting televised by state-run TV. Venezuela broke off relations with Israel in 2009 during Operation Cast Lead. The United States has given Israel the green light to go ahead with the operation. President Barack Obama spoke to Prime Minister Binyamin Netanyahu early Thursday. A White House statement said that “the President reiterated to Prime Minister Netanyahu the United States' support for Israel's right to self defense in light of the barrage of rocket attacks being launched from Gaza against Israeli civilians. The President urged Prime Minister Netanyahu to make every effort to avoid civilian casualties." U.S. Defense Secretary Leon Panetta spoke with Israeli Defense Minister Ehud Barak this week about the latest Israeli military moves in Gaza and also expressed the U.S. view that Israel has the right to defend itself. Since the beginning of Operation Pillar of Defense, the IDF has struck more than 300 targets throughout Gaza, according to a statement released by the IDF Spokesperson’s Unit on Thursday.